International Christian University (ICU) was founded in 1949 with the cooperation of both Japanese and North American educators. The first students entered in 1953 when the College of Liberal Arts was opened. The Graduate School opened in 1957 with a program in education and has since added three more divisions: Public Administration (1963), Comparative Culture (1976), and Natural Sciences (1987). Finally, in April 2010, four graduate divisions aiming at interdisciplinary education were united and regenerated as the “Graduate School of Arts and Sciences”. The master’s level programs introduced a more liberal approach to graduate education and support studies in innovative fields spanning multiple disciplines. ICU is set in a picturesque, serene, wooded campus in suburban Tokyo. Our campus provides a perfect setting for those pursuing graduate studies in the social sciences as one can focus on research in a quiet environment but also readily access downtown Tokyo – Japan’s business center and government seat. It offers easy access to many of the government offices, world leading research institutions, UN agencies, and NGO/NPOs, as well as opportunities to develop a network among leading scholars and people working in the same field. Founded on the principles of Christianity and the Universal Declaration of Human Rights, ICU aims to cultivate ‘responsible global citizens’ who contribute to world peace. Explicit in its name, ICU has been a pioneer in liberal arts education in Japan since its founding in 1953, pursuing international, Christian and academic ideals. The Graduate School, in accordance with the ideals and purposes of ICU, aims to enable students to master advanced levels of learning in specific fields. The Graduate School’s programs continue to attract the brightest students from around the world. This may be due to various reasons, including the relatively small size of our graduate programs, where every student has the advantage of enjoying the full attention of many faculty members and not just one academic advisor. Additionally, bilingual liberal arts instruction in English and Japanese enables ICU students from all over the world to think about and discuss ideas using a common language. Furthermore, graduate students can select from a wide range of research areas, from major classical disciplines in social sciences, arts and humanities, and natural sciences to interdisciplinary studies and new emerging fields. ICU’s reformed Graduate School of Arts and Sciences started offering its programs from April 2010. The master’s level programs, enriched with new courses, 1) introduce a more liberal approach to graduate education by promoting transferable skills, 2) offer school-wide interdisciplinary courses, and 3) support studies in innovative fields spanning multiple disciplines. ICU’s graduate school and faculty are devoted to cultivating professionals: superlative minds in their fields with deep insight into real policy issues. The graduate program provides a highly competitive, theoretical, empirical, policy-oriented international education, which contributes to solving real policy issues in developing countries and the world at large. All faculty and staff are happy to provide learning opportunities for JDS Fellows who work to acquire specialized knowledge in solving social and economic development issues, which their own countries might confront. We expect very high quality and promising students who are strongly motivated to achieve academically and return to their home country with the skills necessary to contribute. Furthermore, to effectively manage admission of JDS Fellows to the program, ICU has organized a ‘JDS Committee,’ which has discussed how to meet JDS Fellows’ academic needs in the admissions process. To accomplish this goal, the JDS committee is devoted to developing and initiating new designs of courses and special seminars, and inviting renowned guest professors and speakers for JDS Fellows. To contribute to the international environment at ICU, the faculty comes from diverse countries and has global work experience, including in developing countries. Many faculty members have work experience in international organizations such as the Asian Development Bank (ADB), the World Bank, JICA and various United Nations (UN) programs and agencies and can supplement their teaching with practical experiences. They have a deep understanding of the social and economic development issues of ASEAN, and can offer individual guidance based on students’ interests and needs. School-wide interdisciplinary courses, such as ‘Writing for Researchers’, and ‘Computing for Researchers’ provide all graduate school students necessary skills for research at the graduate school level. Students are also able to take courses of ICU’s undergraduate program to deepen and expand their understanding and basic knowledge of their field if necessary. Upon enrollment each student is assigned to an academic advisor who is a full-time professor. The advisor works closely with the student as a mentor to develop an effective research plan. In the first year, students take school-wide interdisciplinary courses, foundation courses and specialization courses in their area of concentration and receive guidance in their research by their academic advisor. Through this guidance students can acquire basic knowledge and skills for the master’s course. During the second year, students concentrate more on thesis research. Academic advisors give students precise and proper guidance in order to successfully complete their master’s thesis. During the writing of the master’s thesis, second and third advisors are assigned to provide more academic guidance to students from different perspectives. To promote hands-on mentoring, ICU faculty have a policy of setting aside at least two hours each week as designated office hours, when students can visit faculty for any reason without requiring an appointment. Moreover, each student meets individually with his or her advisor for registration each term. These college-wide policies are in addition to the regular mentoring and academic advising that graduate student receive related to their courses and thesis progress. At ICU Graduate School, students from many countries study together. Japanese and non-Japanese peers appreciate this diversity and learn from each other’s differences. A tradition of open-mindedness continues to be a salient feature of campus life at ICU. ICU Graduate School has accepted about 10 students as ‘Rotary Peace Scholars’ every year ,who come from countries all around the world, and, just as JDS Fellows do, they possess working experience and through their graduate studies aim to prepare themselves for future contributions to peace building, conflict resolution and development. Bringing together students with such diverse backgrounds and experiences provides even more opportunities for students to learn from each other. ICU offers a Japanese Language Program (JLP) in which students can take intensive courses depending on each student’s level of Japanese ability. JLP has been recognized for its excellence and prepares students to use Japanese for academic purposes. ICU has also started to offer new JLP course especially for graduate student s who wish to achieve primary level Japanese. ICU Graduate School of Arts & Sciences is well known for its interdisciplinary program. The Public Policy & Social Research Program enables students to learn not only from one area of Public Policy and Public Administration , but also from development studies, international relations public economics, sociology and anthropology, media and communication studies, and peace studies. This aims to develop a broad view and wide knowledge of students, and it leads to cultivate experts with capacity of problem-solving and plenty of knowledge which are essential to the professional officers in developing countries. The Program offers theoretical as well as methodological courses on qualitative and quantitative analysis, and field research methods, which are necessary for students’ research. The Faculty is highly experienced in various international organizations and serves as a body of skilled educators. Primary advisors and other faculty members eagerly share the common agenda of JDS Fellows and support and guide JDS Fellows in order to aid in their education. In addition to coursework and research, there are various enrichment activities and opportunities at ICU for JDS Fellows. ICU organizes several JDS forums during the year. These forums invite professionals from international organizations, governments, NGOs and others, to discuss diverse issues of developing countries. ICU has conducted Joint Seminars with other universities, which offered an opportunity for JDS Fellows to gain experience presenting their research and to receive feedback from faculty on how to develop their ideas. This seminar improves JDS Fellows’ research and presentation skills and also enhances the network between both faculty and JDS fellows at the co-sponsored universities. Additionally, JDS Fellows can participate in the United Nations University Global Seminar that is held as a joint seminar by the UN University and 10 other cooperating universities (including ICU). Participation in this seminar is to deepen awareness and understanding of the roles of the states, the UN, civil society and private sector in global governance. Students are also encouraged to take advantage of ICU’s location in Tokyo by attending various International Conferences, especially those related to their research. Field trips to learn issues / solutions / good practices of Japanese development that relate to JDS participants’ research topic. These are complemented by guest lecturers to provide expert background on the field trip location. Skill training such as Project Cycle Management Training and Evaluation Methods are provided when regular classes are not in session. And also, several workshops including library database workshop, research design, mid-term presentation and farewell symposium are systematically provided to enhance students’ capability. The following describes the structure and outline of the curriculum and the goals of faculty-student advising. Through these courses students acquire the necessary knowledge and skills for research in the Graduate School’s master’s program. For example, the course “Writing for Researchers” helps graduate students successfully engage in the research publication requirements of their chosen discipline, including such topics as required content, information ordering and data analysis. Related to it, we also started to offer new courses as Foundation Courses: “Academic English” (For 1st years) and “Academic English for Research” (For 2nd years). Each course is enrolled throughout a year. Students can develop not only their writing skill but also reading as an independent reader, discussion and presentation in English for two years. In “Field Research and Professional Learning” students conduct field research to acquire understanding of research techniques, skills to conduct projects, and negotiation skills; through that experience students conduct self-evaluation and analysis and bring their work together into an academic report. Those courses, such as “Public Policy” and “Research Design and Methodology”, provide the fundamental knowledge and methodology for research needed for taking part in the empowerment and improvement of public policy. Especially in Research Design and Methodology course, students will learn how to select research topic, research questions, and build research design to progress own academic papers or academic project for his/her master thesis. Those courses enable students to understand in depth the issues about policy making and empowerment needed for accomplishment of development plan. Students are also guided to analyze and comprehend it from a multilateral viewpoint such as international perspective and comparison with other countries and Japan. There are many opportunities offered to enhance students’ ability as a practitioner through the site visit to central government agencies and Mitaka city hall and guest lectures by inviting staffs from international organizations, officers from a national or municipal government. Time for seminars is periodically taken and opportunities are provided for debate and detailed advising with faculty advisors in order to respond to the needs of each student. These opportunities are used to advise students on their research they are conducting on their individual research topics. In writing their master’s theses, students are advised on areas in which they may lack understanding and other individual advising is given in such areas as the determination of necessary themes and central ideas, an early review of source material, and selecting research methods. Courses for both basic and specialized study of related fields make possible the diverse study from various educational perspectives those areas that serve as an asset in resolving the issues that are faced by students’ own countries. Please see the course list. 30 credits are required as follows. ICU has agreements on educational exchange and credit transfer with Institute for the Advanced Study of Sustainability, United Nations University and Tokyo University of Foreign Studies. JDS Fellows can take courses in these universities and get credits up to 10 credits. See the following list of faculty members who are capable of providing guidance to JDS Fellows in Public Policy and Social Research Program. Upon enrollment each student is assigned to an academic advisor for the purpose of general guidance based on each student’s research proposal. By a prescribed date in the third term of the first year, students submit to the dean a tentative title of the thesis with the signature of their desired thesis advisor. At the beginning of the second year, the dean officially announces the appointments. (University of Pittsburgh, Ph.D.) Dr. Omori is a specialist on public policies in developing countries. She is able to give guidance in public administration field, including public policy theories, political system, public administration, and policies for human rights for children, in comparison with other Asian countries. (Waseda Univ., Ph.D.) Dr. Nagy research interests include international relations of Northeast Asia, Sino-Japanese relations, Asian regional integration and regionalism in Asia, non-traditional security, human security and migration/ immigration related issues. His course on Regional Governance offers JDS scholar the opportunity to explore how East Asian countries are engaged in regionalization to deal with issues such as environmental cooperation whereas is course on Public Policy in East Asia provide JDS scholars comparative policy approaches to conflict resolution, demographic change and anti-corruption policies amongst others. In conjunction with his research focus on Asian regional integration, in March 2010 he was appointed a Senior Fellow with the Global Institute of Asian Regional Integration (GIARI), Waseda University. He is also a member of the Hong Kong Institute of Asia Pacific Studies’ International Affairs Research Centre (IARC) at the Chinese University of Hong Kong. (International Christian University, Ph.D.) Dr. Nishio's areas of specialization are Public Policy and administration, Japanese administrative reform and local governance. He has experience of civil-service reform as a leader of research group of the National Personnel Authority. He is able to provide practical and specialized guidance regarding strengthening of Public Administration System and execution capability, systems and policies for development of local governance. (University of Tokyo, Ph.D.) Dr. Takamatsu has a professional experience at JICA Myanmar Office, and is a specialist in international relations, gender, and development studies. She is conducting research on development of post-conflict Sri Lanka and conducting “action based research project” on income-generating activities of female ex-combatants and female headed households in the eastern part of Sri Lanka. With her specialist knowledge on development, peace and gender, she is able to offer students professional guidance on issues such as development aid, social policy, and peacebuilding in developing country, especially from the perspectives of human security and gender. Students can also learn methodology, international comparison and critical thinking practically. She was one of the members of research project on Trafficking in Persons Issues by National Women’s Education Center, and this project conducts research in Southeast Asia including the Philippines. (University of London, Ph.D.) Dr. Shani, as a specialist in the fields of international relations and international development, is able to give students integrated instruction and advice on development theories, policies, and problems based on his research about human security, conflict and globalization. One of the courses he teaches will be of particular interest to JDS fellows specializing in Peace and Stability in Asian region since it will provide them with opportunities to research development, conflict resolution and peacebuilding initiatives in the region. (Carleton Univ., Ph.D.) Dr. Mori’s areas of specialization are international political economy and global environmental governance. He examines institutional arrangements for global governance with particular attentions to public-private partnerships. (Pennsylvania State University, Ph.D.) Dr. Moriki is a specialist in cultural anthropology and demography, who is able to advice students on the issue of population and social problems that face Asian countries, as well as giving the practical training on research and analytical methods in field research. (University of Pennsylvania, Ph.D.) Dr. Suh is an expert on international relations, international security, and Asian international relations. He has conducted research on the relationship between China, Japan, and Korea, as well as U.S. foreign and security policies toward Asia. He has also examined the relationship between economic development and human security. He offers courses on International Relations and Global Order and International Relations of the Asia-Pacific. (Hitotsubashi University, Ph.D. / Keio University, J.D.) Dr. Terada's areas of specialization are Administrative Law, Environmental Law and Telecommunication Law including public servant system reform and public institution reform. She has been especially studying on Comparative Telecommunication Law of EU, Germany, USA and Japan and has special academic concern for the development of telecommunication regulatory organizations. As an administrative law scholar who has passed the bar exam, she socially activates her academic concern as a member of Tokyo Metropolitan Government’s Commission on Freedom of Information and Protection of Individual Information and also as a member of Surveillance Commission on Bid Ridding etc. of Cabinet Secretary and Cabinet Legislation Bureau, Cabinet Office. As a young scholar, she is able to offer high quality academic training and practical advice regarding legislation and enforcement of laws, problems such as regulation and discipline on administrative organizations to the students coming from Myanmar from a broader perspective. (The Univ. of Tokyo, J.D. / Columbia Law School, LL.M.) Assistant Professor Hiromichi Matsuda’s research interest includes constitutional law and international law. Especially, he specializes in human rights from the perspectives of international law and constructional law. He is able to advise students on an authorization relationship between law and administration and also offer an academic training to develop a practical capacity to operate an international law both in Japanese and English by drawing his rich experience of instruction through an international law moot court. He had also been engaged in supporting development of legal system in Vietnam as an intern. ICU has several dormitories for Graduate Students in the Student Life Zone on campus and new dormitories opened in April of 2017. There are some floors which mainly have single rooms to accommodate graduate students and students with diverse needs. The ICU library, located at the center of the campus, is one of the few open stack libraries in Japan. The library currently maintains the collections such as Books in Japanese, 435,076; Foreign books, 363,554; Journal subscriptions, over 200,000 (including e-journals). Our library is renowned as one of top-ranked libraries for the high number of items checked out per students. In 2000, the new library opened as the first in Japan to operate on an automated book storage/retrieval system. It offers a variety of up-to-date multimedia services, including a study area with Internet connected PC booths, group study rooms, and multimedia rooms. The Physical Education Center is equipped with rooms for ball sports, martial arts and weight training. And also, a climbing wall was installed in 2017. Lockers/showers are located in the Central Locker Building. Outdoor facilities include tennis courts, baseball, soccer and rugby fields, archery field and camping grounds. ICU has many excellent and international club activities, which are open to ALL students. For example, there are activities for UNESCO, UN, English debate circle, etc. Also, there are numerous cultural club activities, such as modern jazz, classical music, Japanese tea ceremony, Japanese traditional dance, and others. At the Counseling Center, counselors are available to discuss psychological issues with students in English and help them deal with other personal concerns at the university. Consisting of the university physician and nurses who can speak English, the Health Care Office (HCO) is equipped for the health of students, faculty and staff, as well as for campus environmental health conditions and health education programs. After two years of study at ICU, JDS Fellows would be able to obtain the degree of Master of Arts in Public Administration, International Relations or Peace Studies according to each student’s research. 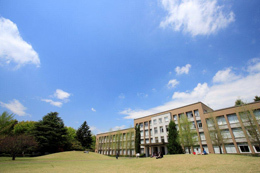 ICU is consistently ranked one of the best liberal arts universities in Japan. We can offer the best curriculum for the learning of development studies, and we take great pride in consistently sending out excellent researchers and professionals to academic institutions, government organizations, and international organizations such as UN, UNESCO, etc. Both our curriculum and faculties’ teaching and advising prepare JDS Fellows for the challenges they will face as future world leaders and policy makers. ICU’s diverse yet close-knit community of students, staffs, and faculties and our tradition of small classes that actively promote open discussion and debate challenge our JDS Fellows while helping them to feel comfortable so they can learn effectively. We are here to facilitate our JDS Fellows in fulfilling their academic, profession and personal goals so they can return to their home countries prepared to fully contribute to the development of the region. In order to maximize the achievement from this program, we would like to advise the students who are applying to our program to choose a topic of research that is close to the specialization – or especially the current research interest - of one of our faculty. In preparing your application, be sure to clearly state how your research interest is related to your proposed project. Provide details as to how the findings are related to your current responsibilities and what you expect your experience at ICU as a graduate student can do for your career and national development. We encourage applicants to link their career responsibilities and experiences to their research proposal. At the same time, applicants should understand that an MA is a research project that uses social science tools to investigate a public policy or developmental studies issue which lays the theoretical framework for good policy development.